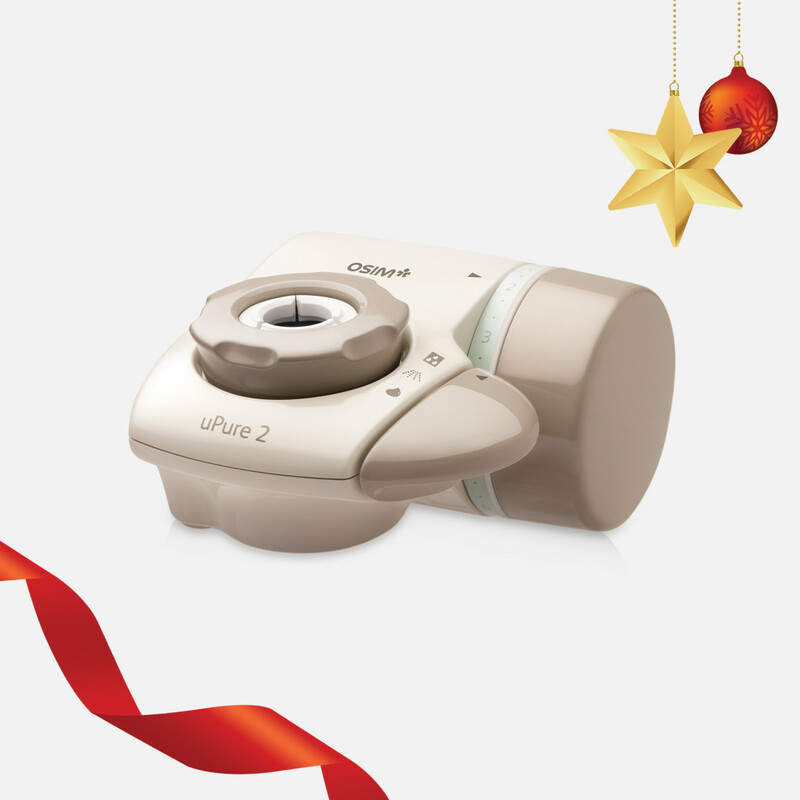 With its unique 4-step purification process, uPure 2 water purifier can effectively remove almost all of the known bacteria* in tap water, so you and your family can enjoy pure, clean water every day. 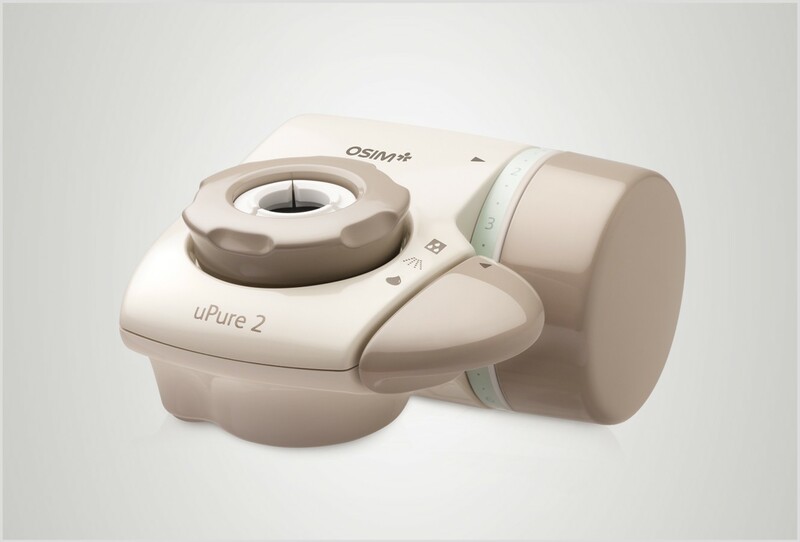 * The bacteria reduction performance test complies with the Japan Water Purifier Association (JWPA) Voluntary Standards for Water Purifiers.The OSIM uPure proves to remove 99.99% of the known bacteria in tap water. Replace your filter cartridge regularly to ensure that the purification process is not compromised. It is easy for you to monitor the condition of the filter cartridge. A peek through the quick check window will indicate if a replacement is necessary. A. The cartridge before use. B. The discoloured filter indicates cartridge replacement is necessary. Set cartridge replacement indicator to 5 months* later from start of installation as a reminder to replace the cartridge, so as to ensure the purification process is never compromised. Switch to your preferred mode of purified water stream for cooking and drinking, tap water shower for gentle rinsing or tap water stream for heavy duty washing. 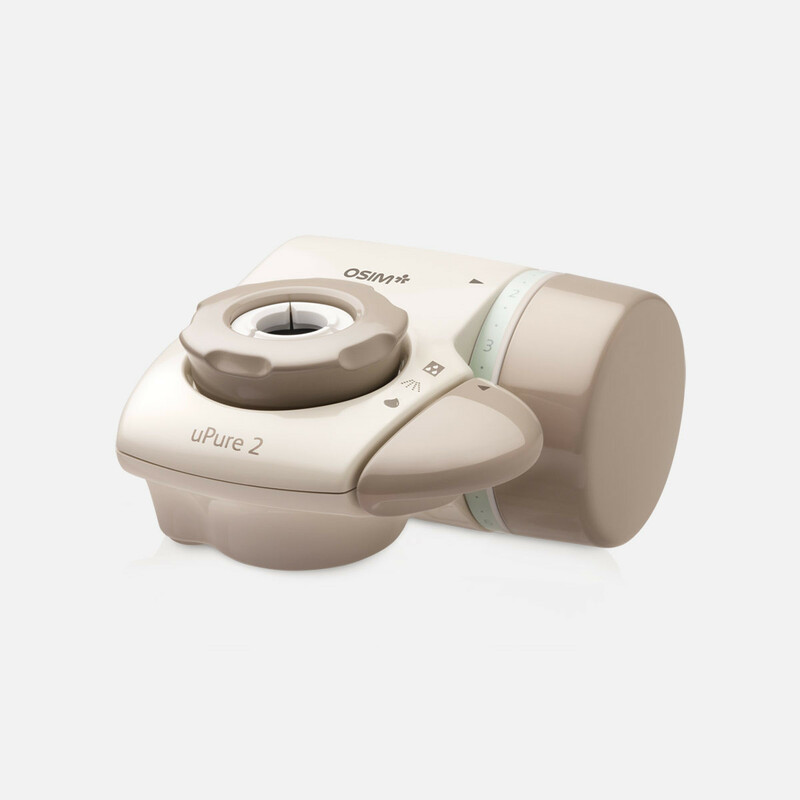 uPure 2 comes with an Adaptor Set with 8 different adaptors that fits perfectly with different faucet dimensions. Salt and iron dissolved in water, mineral components etc.